And this list does not include Trader Joe’s products. 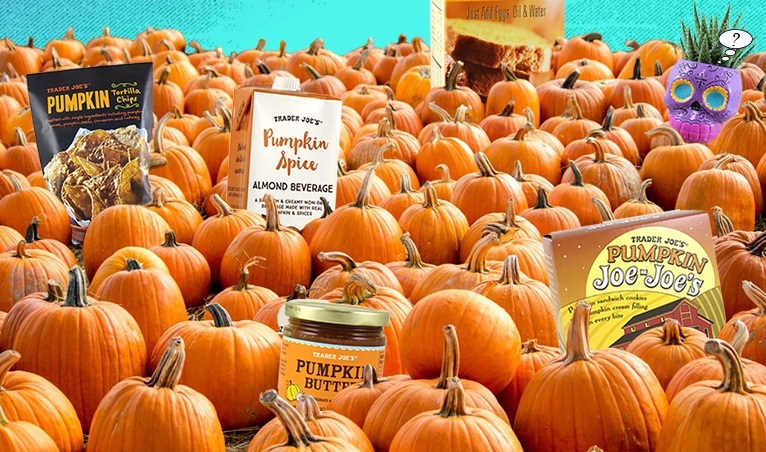 That’s because we now have an entire listing just for Trader Joe’s Dairy-Free Pumpkin Products. 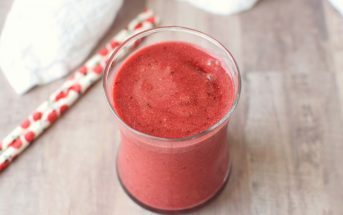 Sweet, creamy, and wonderfully spiced, this dairy-free beverage is definitely worthy of the season. It’s made with flax milk beverage and is vegan, gluten-free, and top food allergy-friendly. This creamier beverage is gently pumpkin and lightly sweet, reflecting the fact that it reportedly has 40% less sugar than the leading brand. 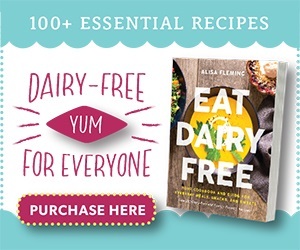 It’s not only dairy-free, but also gluten-free, soy-free, and vegan, too. 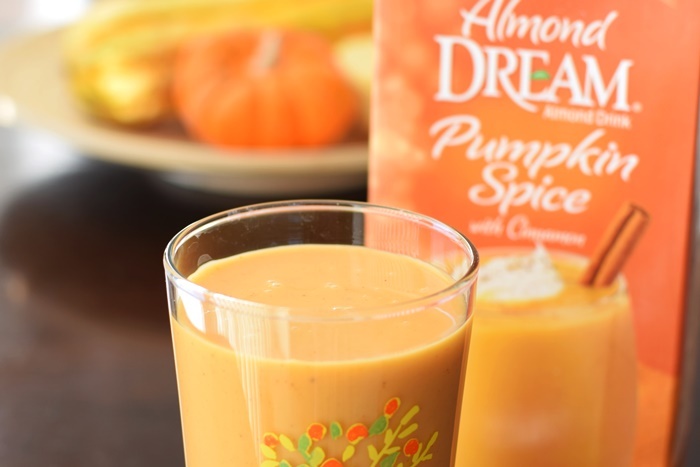 Their creamy coffee-spiked almond milk beverage is blended with pure pumpkin and spices for an even creamier sip. It’s also vegan, gluten-free, and soy-free. 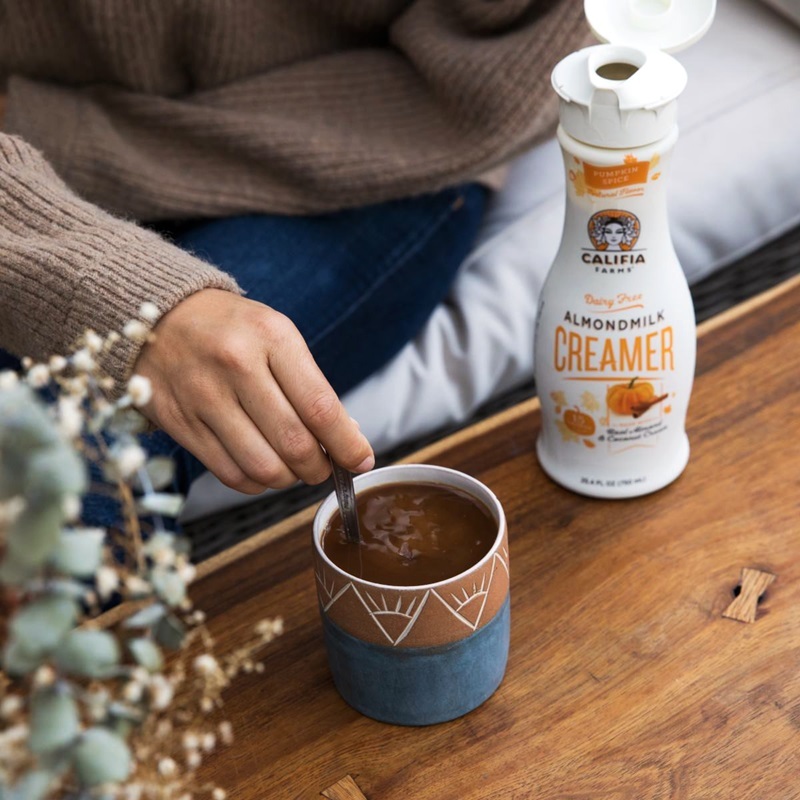 This unsweetened brand of creamer is rich with pumpkin and warm spice flavors. But I do recommend adding just a touch of your favorite sweetener to help it pop. This relatively rich creamer is festively flavored with real pumpkin puree, cinnamon, nutmeg and ginger. It’s also vegan, soy-free, carrageenan-free, and sweetened with cane sugar. 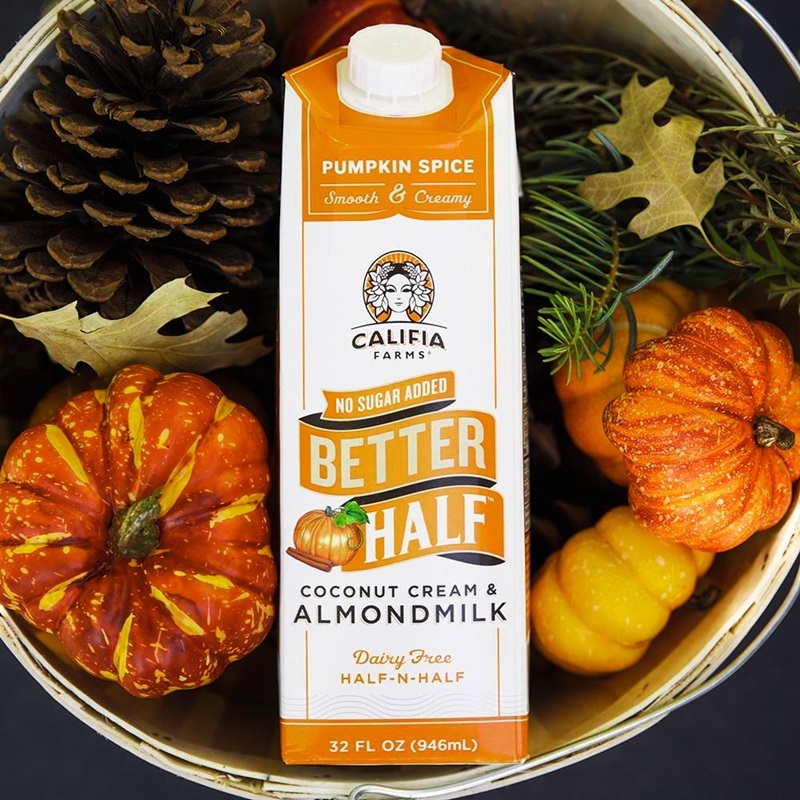 This boasts a very similar ingredient profile to their pumpkin spice creamer, but the Better Half has no added sugars (it’s sweetened with monk fruit). Beachbody’s vegan line has become quite popular, so they released this seasonal flavor. It has already sold out this year in the U.S., but will be hitting Canada soon. 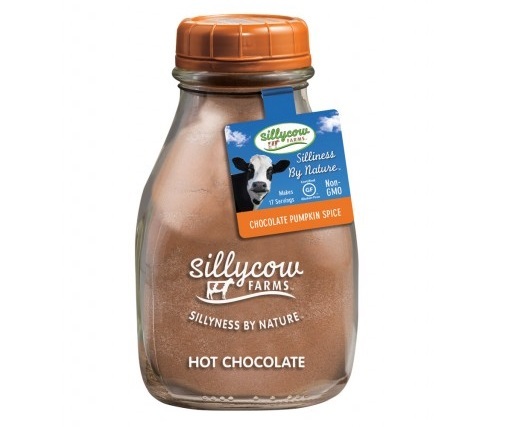 Despite the name, all Silly Cow hot chocolate mixes are made without dairy (at last check) and certified gluten-free. 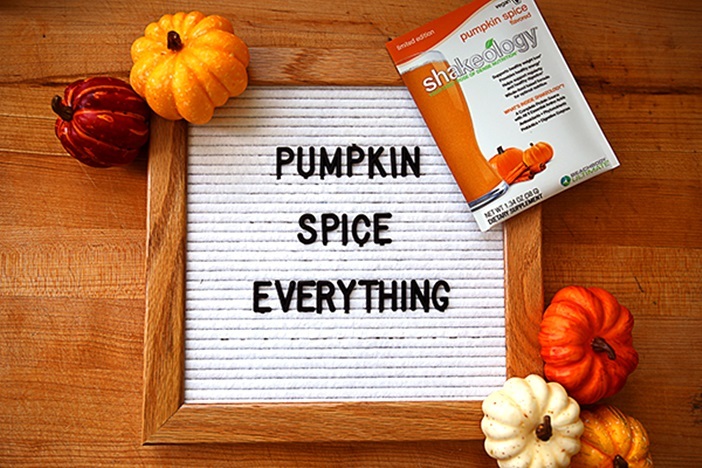 This seasonal flavor is infused with cinnamon, ginger, nutmeg, allspice, cloves, and natural pumpkin flavor. 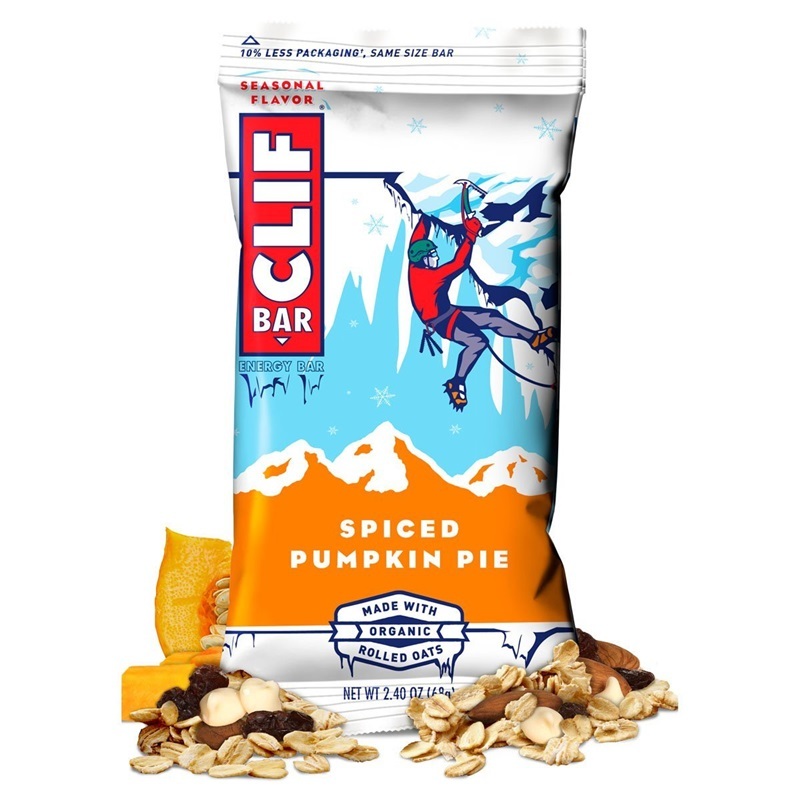 These are just like traditional Clif Bars, but with an infusion of pumpkin flakes and real cinnamon, ginger, cloves, and nutmeg spices. 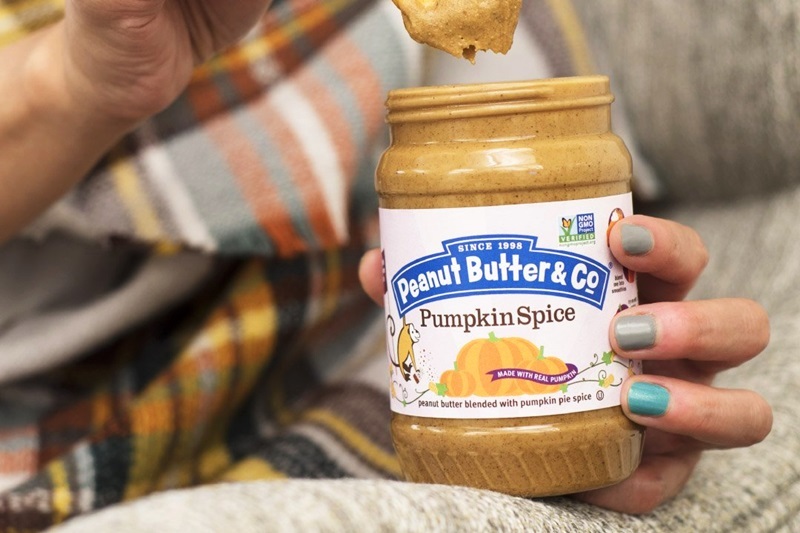 They blended their classic peanut butter with real pumpkin and warm pumpkin pie spices for this limited edition fall flavor. It’s great on sandwiches, apples, and pretzels. Each jar is also vegan, gluten-free, soy-free, and certified non-GMO. These paleo protein bars are a blend of smooth pumpkin and warm hints of cinnamon, ginger and cloves. 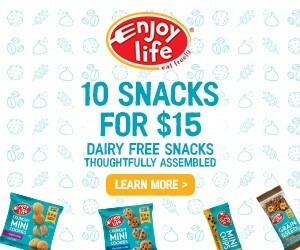 They’re naturally dairy-free, gluten-free, peanut-free, and soy-free. This grain-free, paleo “granola” is made with tigernut butter, and it’s made on dedicated gluten-free, top allergen-free equipment. 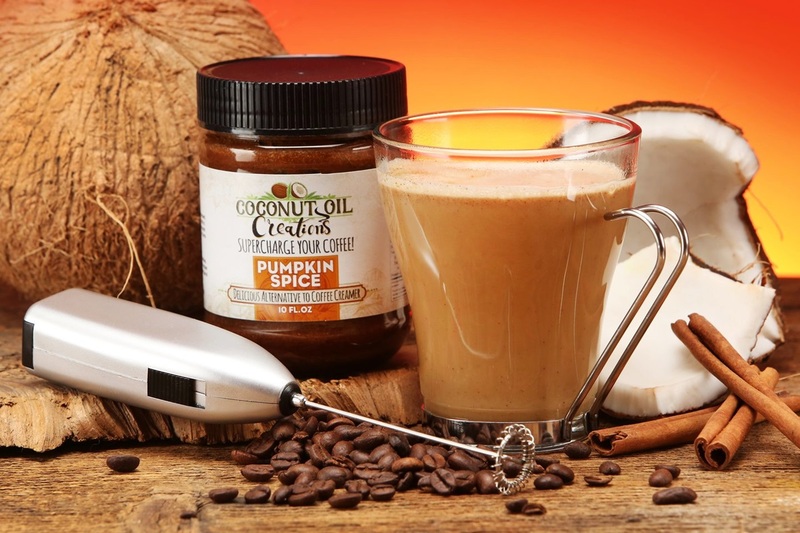 It’s is amazing in coffee, tea, smoothies, oatmeal, warm milk beverage, or as a flavorful replacement for other oils in any dessert! 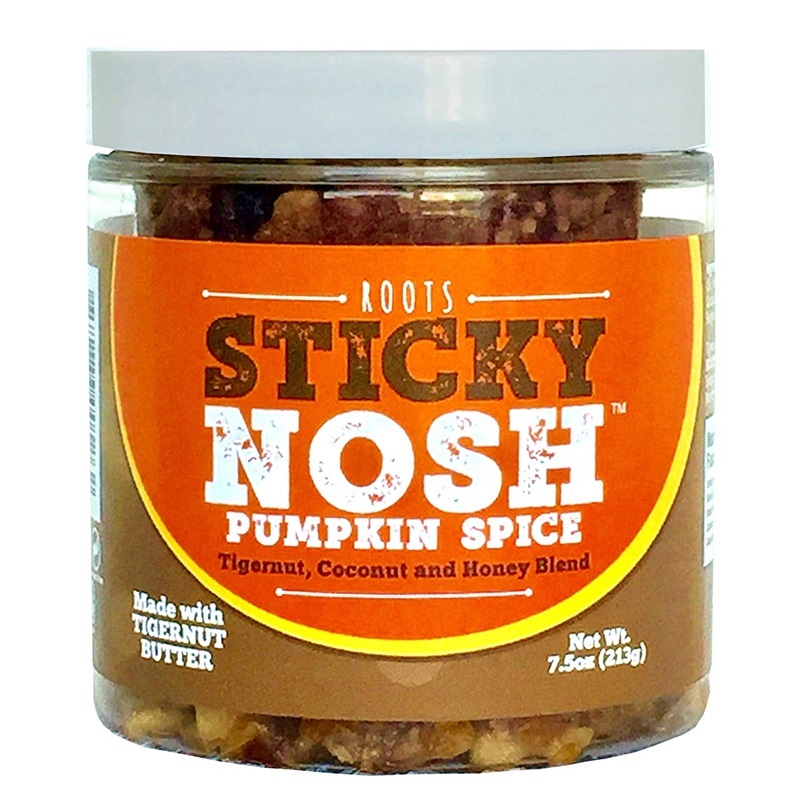 It does not contain any sweeteners, and is naturally vegan, gluten-free, top allergen-free, and paleo. 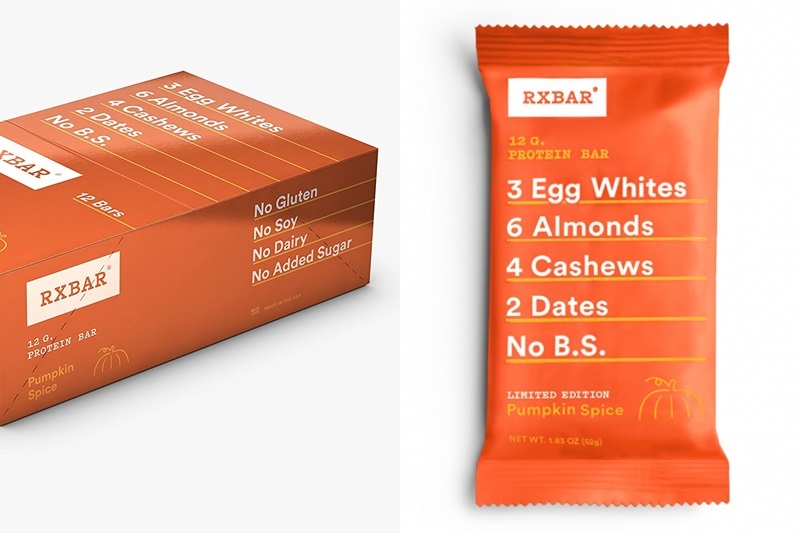 These bars have the traditional Larabar base of dates and nuts, but dried pumpkin, cinnamon, ginger, nutmeg, and allspice are also thrown into the mix. 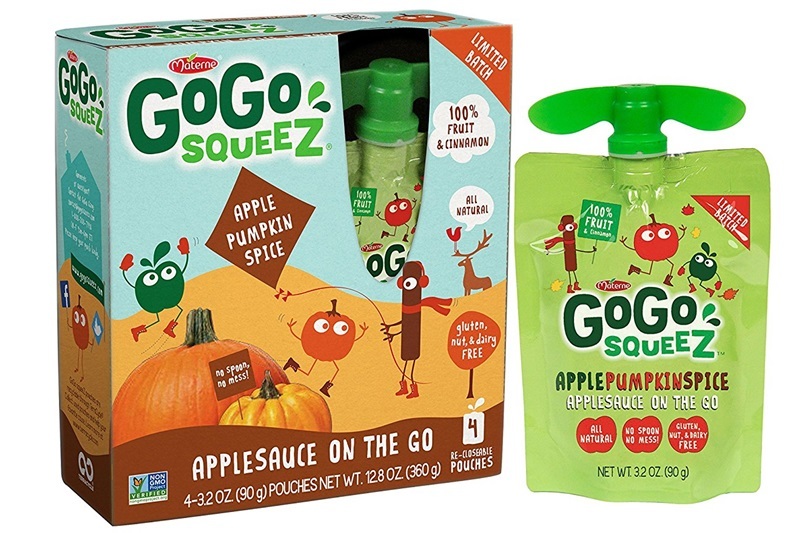 Unlike other pumpkin spice applesauce options, these on-the-go packs are made with real pumpkin. They’re also labeled as dairy-, gluten-, and nut-free. 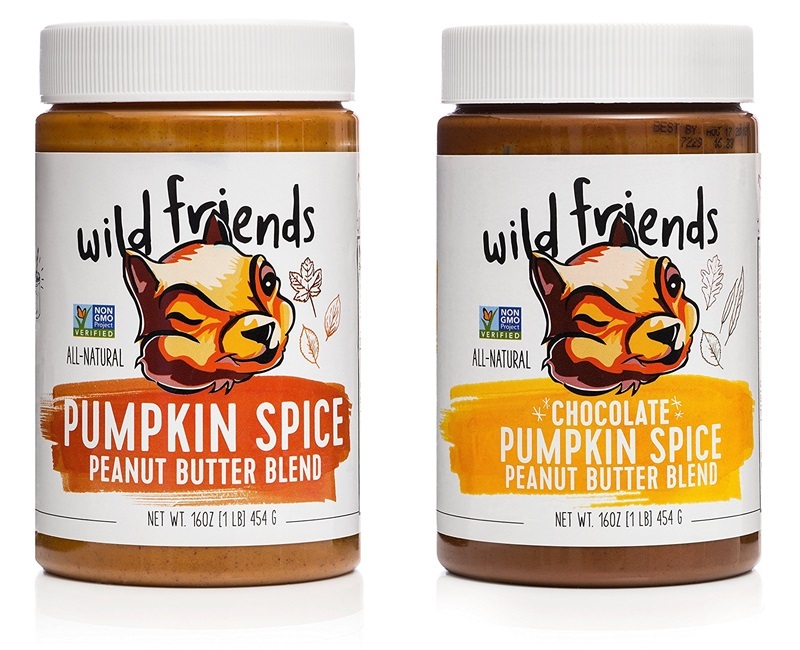 They don’t use actual pumpkin, but do focus on those pumpkin pie spices in these natural peanut butters. Not to mention, they have a chocolate version where they blend in melted dark chocolate chips. Both varieties appear to be vegan, gluten-free, and soy-free. In fact, the chocolate they use doesn’t even contain soy lecithin! These super-hearty bars – think a big serving of oatmeal – are enriched with warm spices and pure pumpkin for this seasonal flavor. 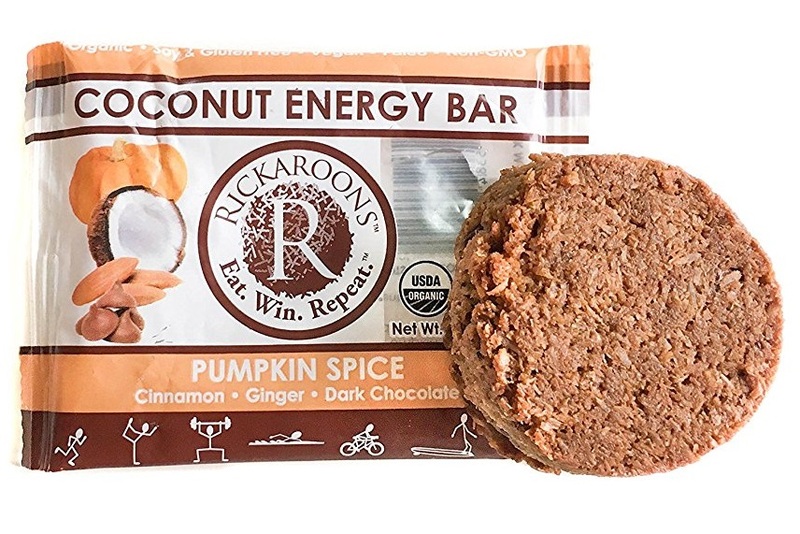 They took their Chocolate Blonde energy bars and added Pumpkin Pie Spice. The result is a well-loved, seasonal, wholesome, paleo, vegan, and gluten-free energy bar. I wasn’t sure whether this should go under snacks & spreads or desserts. 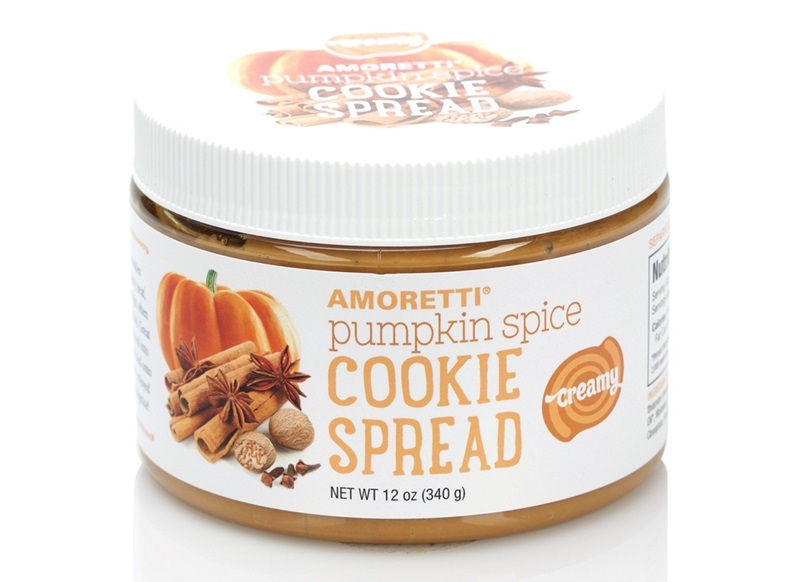 It landed here, but this non-dairy spread is a true treat! 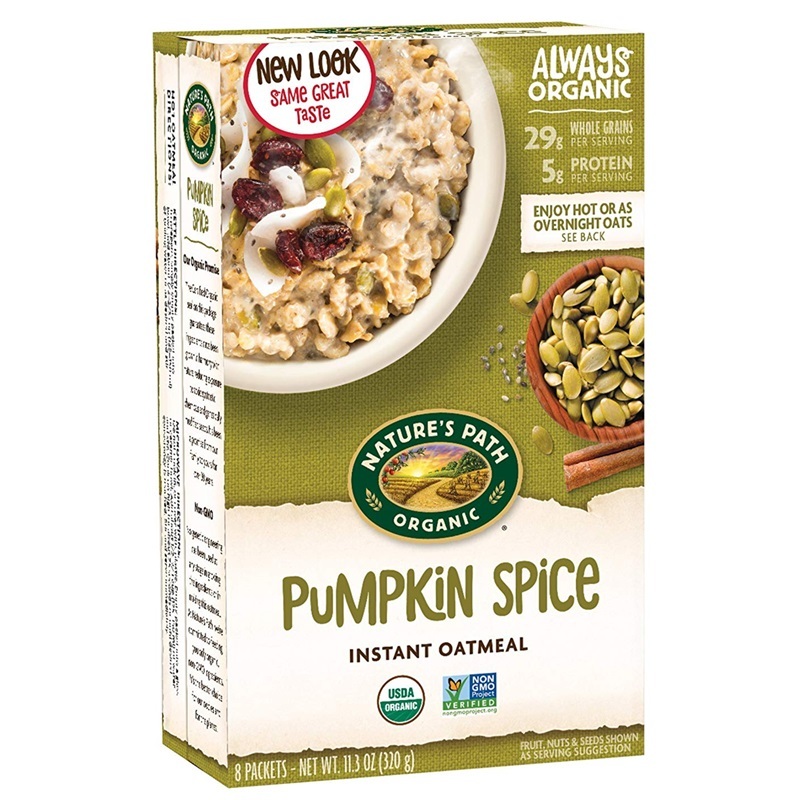 Just add hot water to these packets of organic rolled oats, chia seeds, pumpkin powder, and spices. By ingredients, it’s vegan, gluten-free, and top allergen-free. It isn’t certified gluten-free, but their Cinnamon Pumpkin Seed Qia Hot Cereal is. 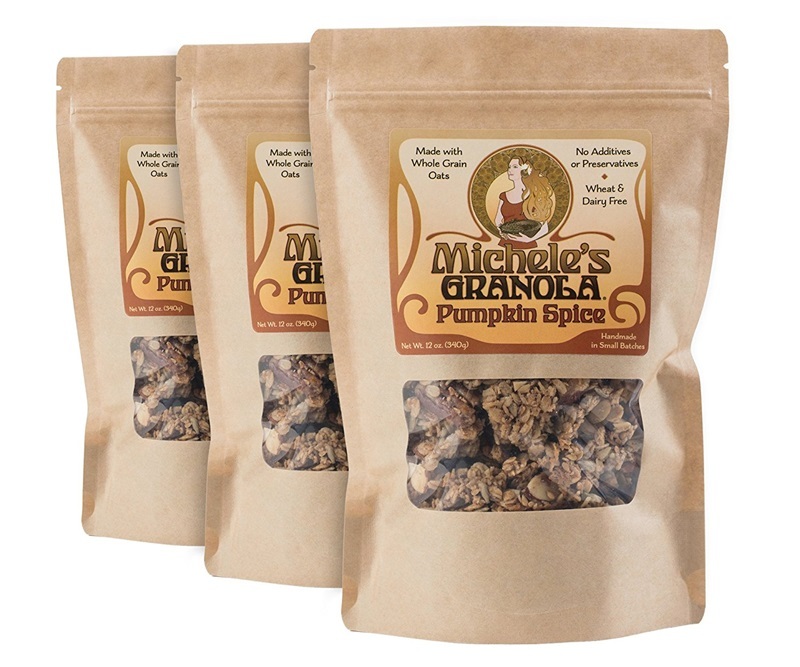 This dairy-free pumpkin spice breakfast cereal is a hearty blend of organic pumpkin seeds, golden flax, crunchy pecans, and a touch of pumpkin pie spices. 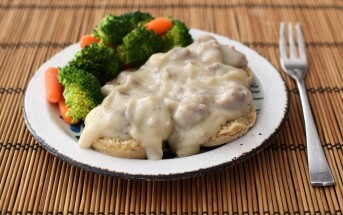 It’s made without dairy, soy, and gluten, but we don’t know if they use gluten-free oats. These classic whole grain biscuits are baked with dried pumpkin and sweet potato, and are perfect with your homemade dairy-free latte. 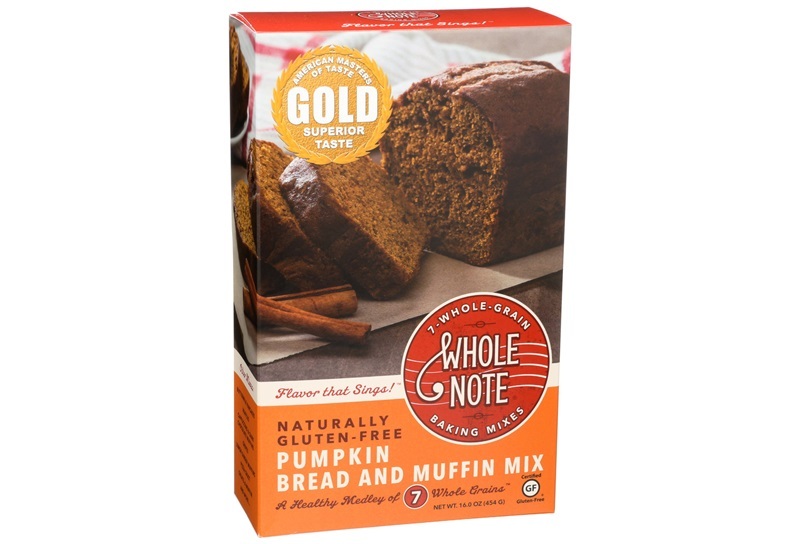 It’s pumpkin flavor, not actual pumpkin, in this fall riff on a classic. But the spiced, sweet flavor is still nostalgic. 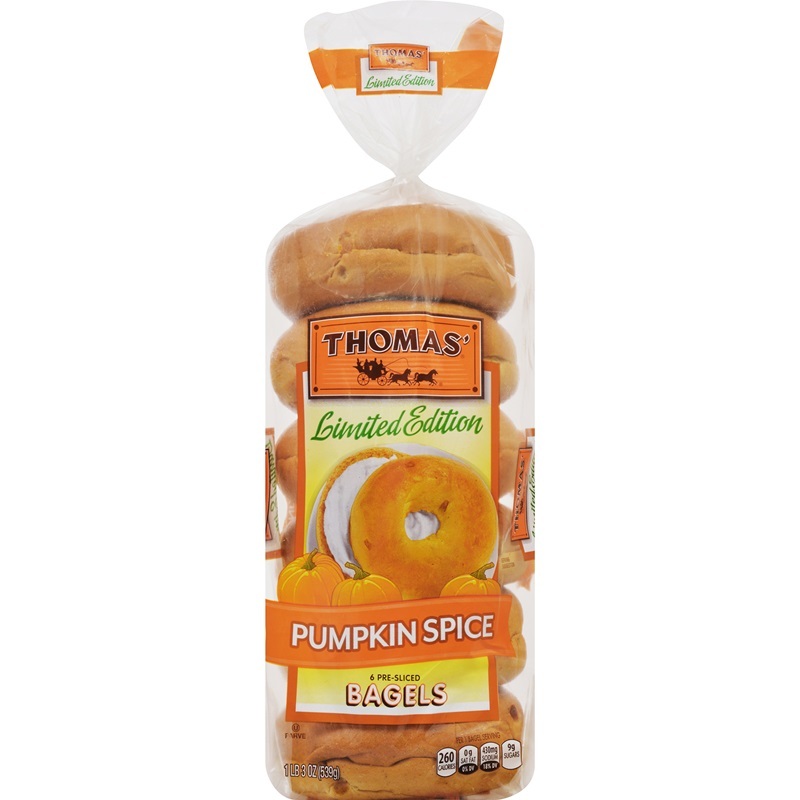 You might be able to find dairy-free pumpkin spice bagels at your local bagel shop, but Thomas’ “jumbo” bagels are readily available in many stores and these are unbelievably vegan. Other brands contain milk, but these are dairy-free, certified gluten-free, nut-free, and even vegan. This iconic cereal is kosher parve, and it’s now officially gluten free. 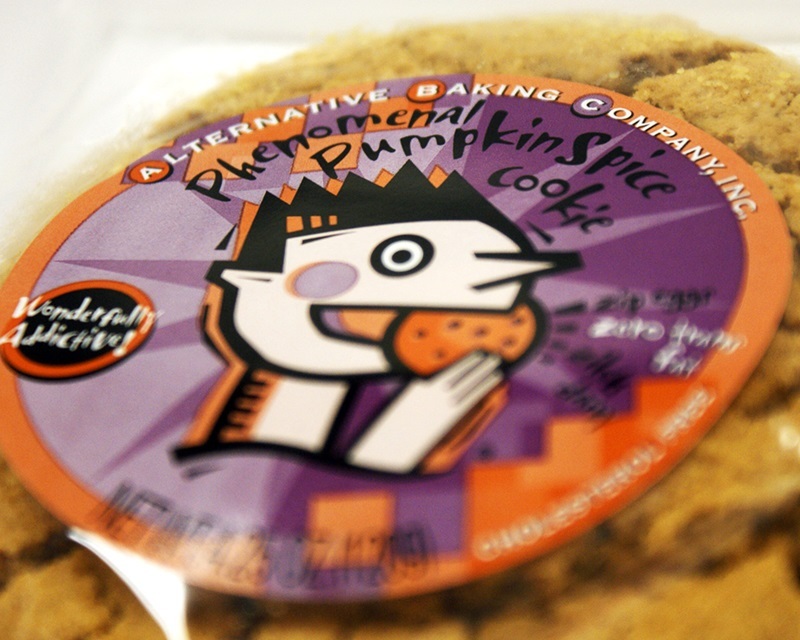 Most dairy-free pumpkin spice products are seasonal, but Lenny & Larry’s pumpkin spice cookie is offered year round. It’s a thick, chewy, and slightly cake-y, cookies infused with pumpkin, molasses and the usual spices. It’s also vegan and soy-free. 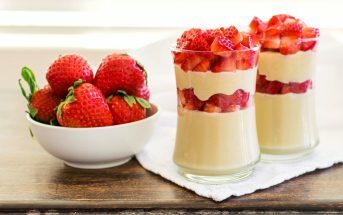 It’s naturally dairy-free, even when prepared, and they state that egg substitute works well when baking it for vegan needs. 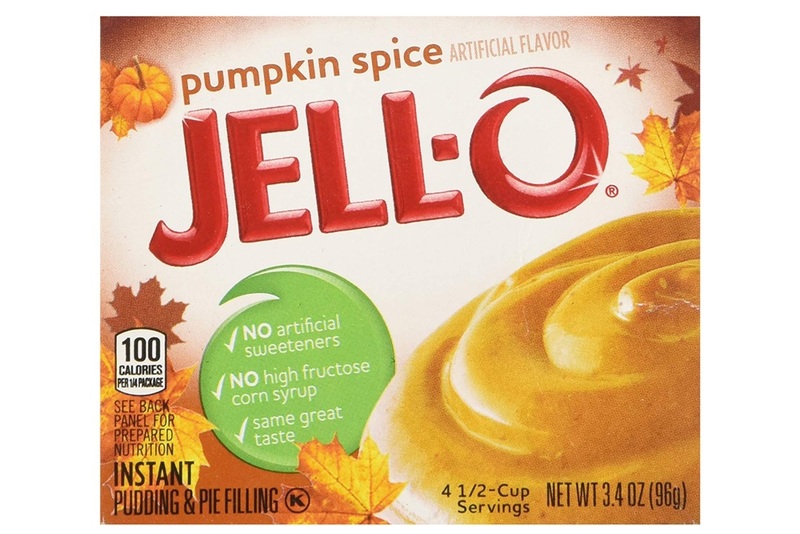 Like so many Jell-O pudding flavors, their seasonal pumpkin spice is made without dairy! This old school brand shuns artificial colors, flavors, and high fructose corn syrup and even uses real pumpkin in their fall flavors. Yes, they have crunchy seasonal cookies too! 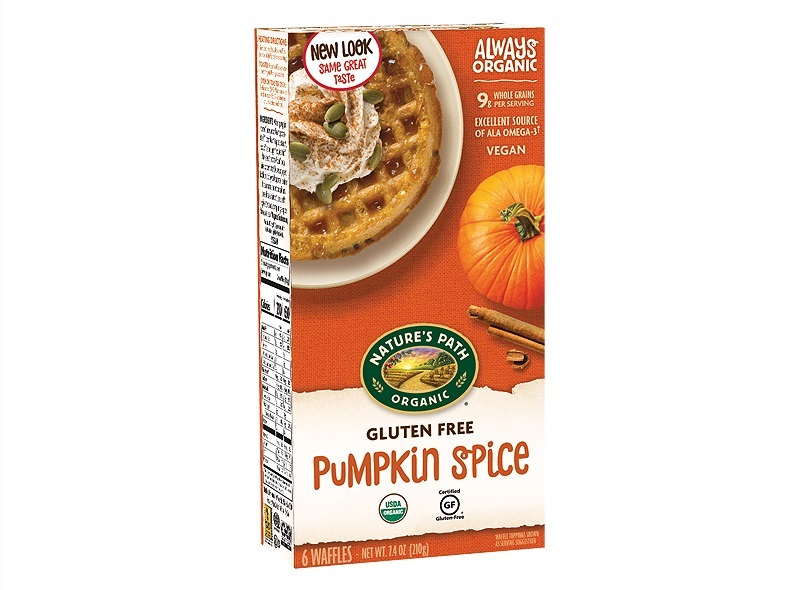 And we have heard they sell dairy-free pumpkin spice waffles via Walmart. Although these aren’t listed on their website. 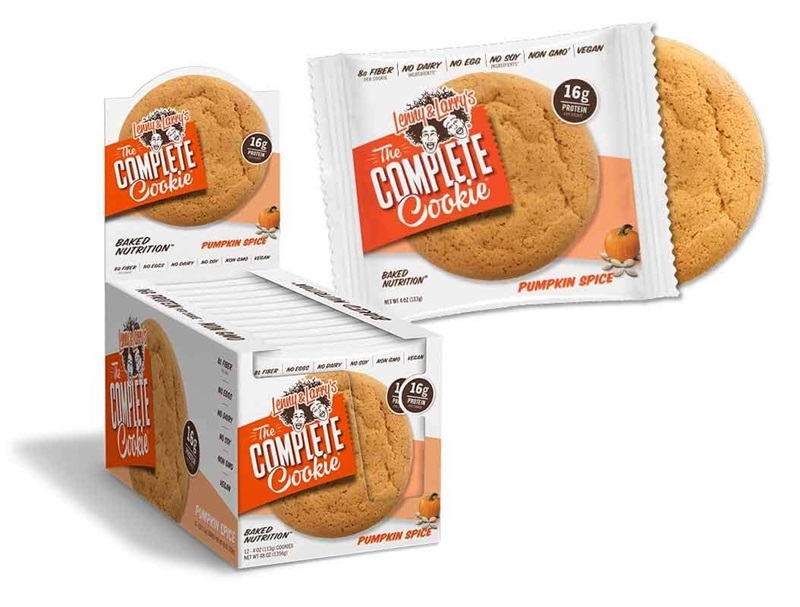 This old school brand shuns artificial colors, flavors, and high fructose corn syrup and even uses real pumpkin in the cookies. 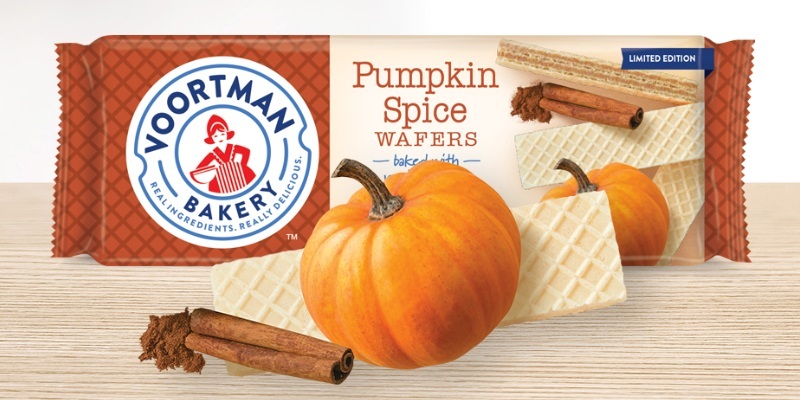 We found both crispy cookie and wafer varieties made without dairy, and have heard they have dairy-free pumpkin spice waffles at Walmart too. Although not in the title, these vegan marshmallows reportedly have a “mild pumpkin spice flavor,” and they work great in recipes. They’re also gluten-free, but do contain soy. These vegan cookies are infused with more pumpkin than many other brands, and contain the traditional holiday spices. They’re also generously sized for hearty appetites. 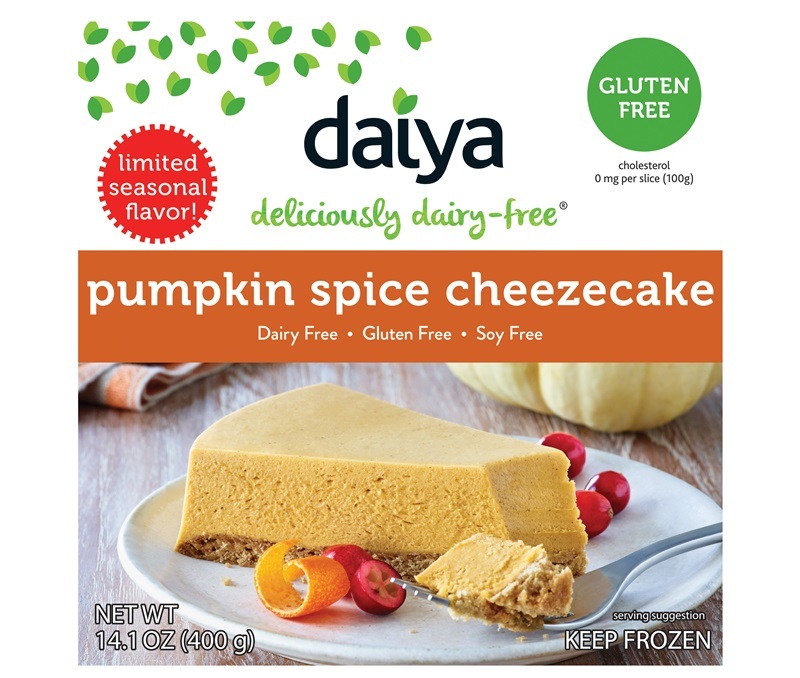 If you’ve every tried Daiya dairy-free cheezecake, then you know just how unbelievably good it is. 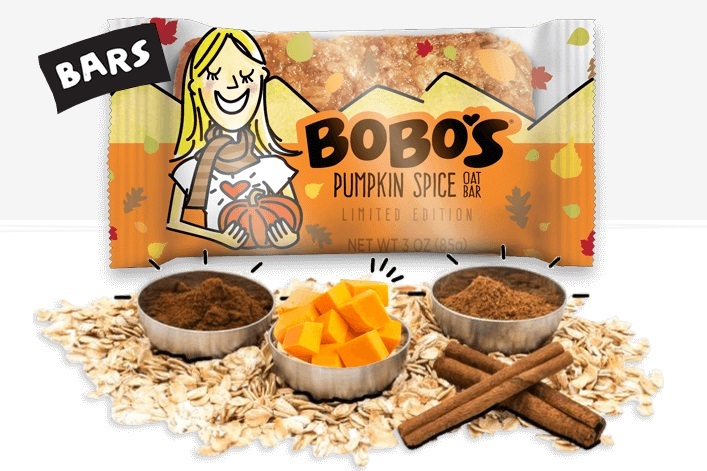 This limited edition, pumpkin-infused flavor is new, and has hints of cinnamon, ginger and nutmeg. 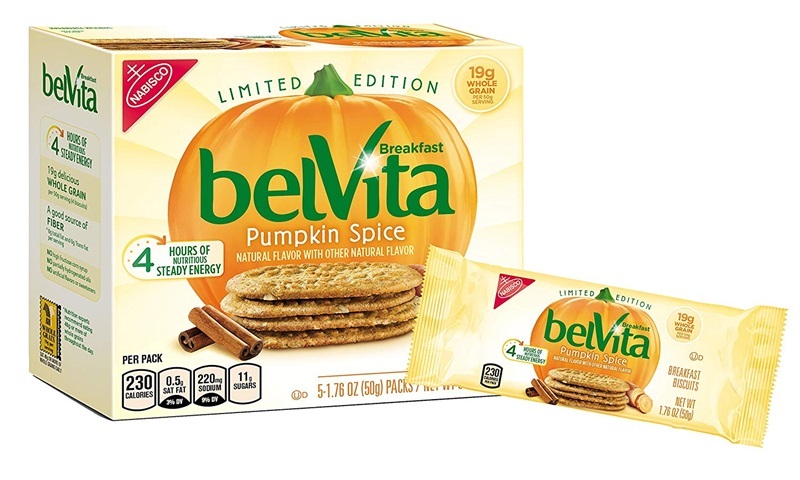 Beyond the 33 goodies mentioned above, we spotted the following popular pumpkin spice items, which also appear to be dairy free. 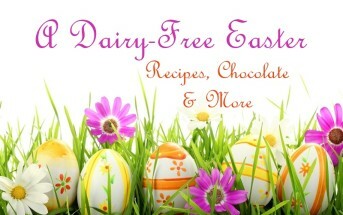 *All of the non-dairy products mentioned above are dairy-free by ingredients. But as always, contact the manufacturer to discuss their production processes if a severe food allergy is a concern for you. There is always some degree of cross-contamination risk, and allergen labels (or lack of) should not be relied on exclusively. We cannot evaluate if a product is safe for your needs. 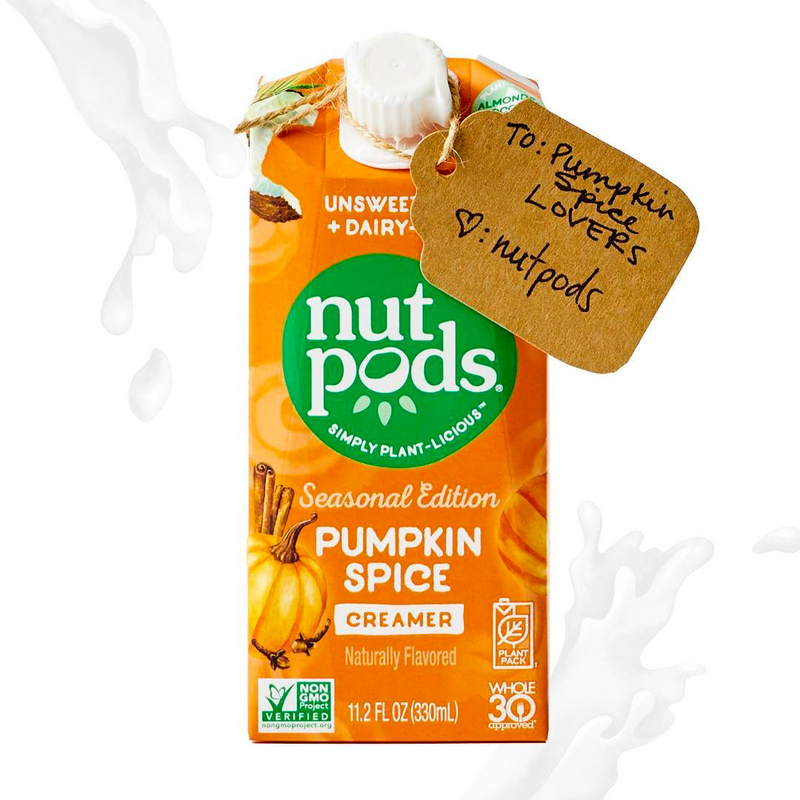 What Are Your Favorite Dairy-Free Pumpkin Spice Products? Which of the above do you love or loathe? Share your feedback with others. Also, did we miss any of your favorites? You just introduced me to some new treats! 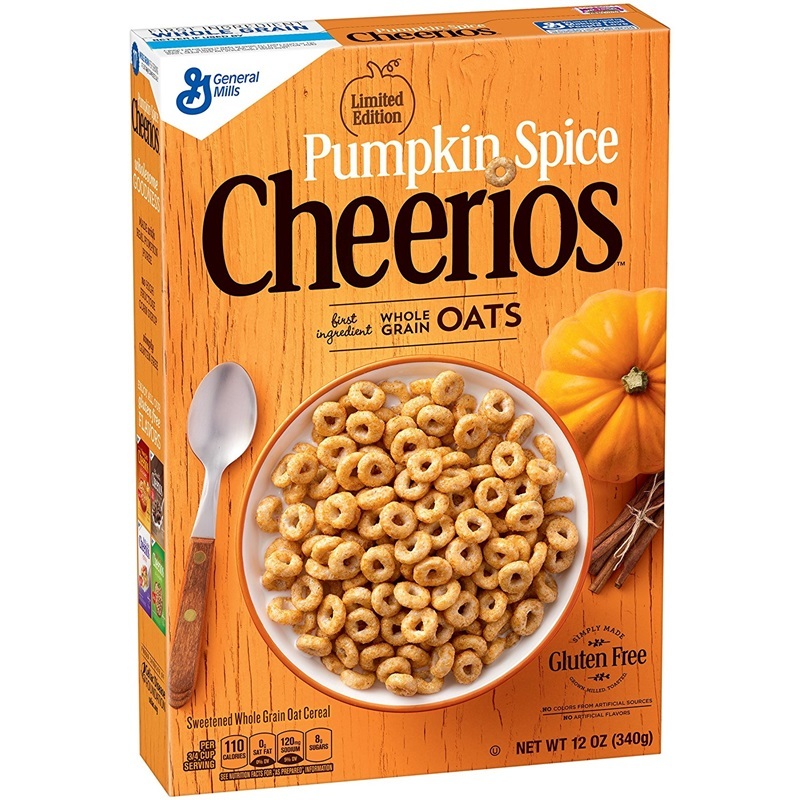 Am crazy about Califia products and the whole family loves the pumpkin Cheerios! Will be sharing this list with family! 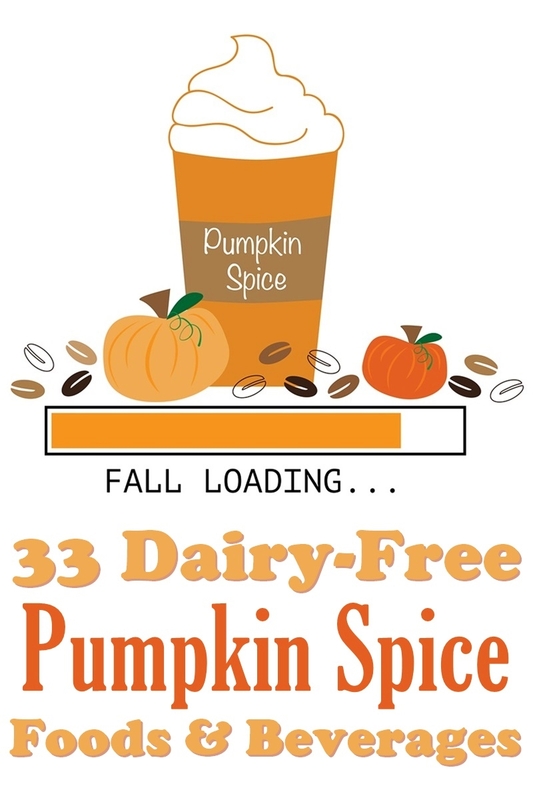 I need to get my hands on some dairy-free pumpkin spice beverages! First on my list, Good Karma, then I’ll follow your list down. I had no idea there were so many! Great list! 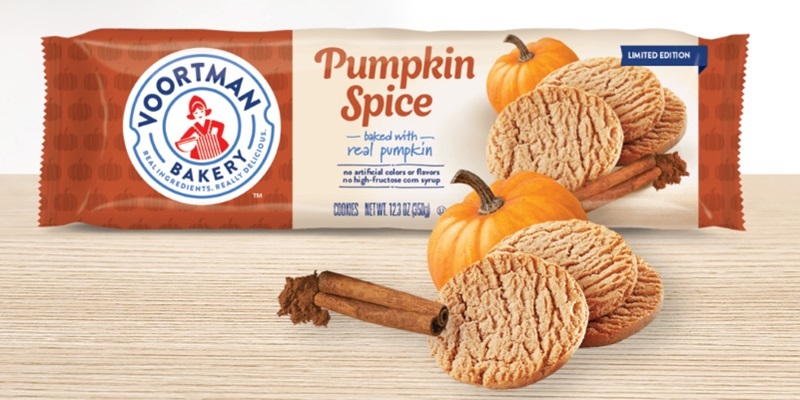 We also like Aldi pumpkin spice bagels and Bigelow Pumpkin Spice Tea. We have a Trader Joe’s nearby, so I’ll be looking for some of these. 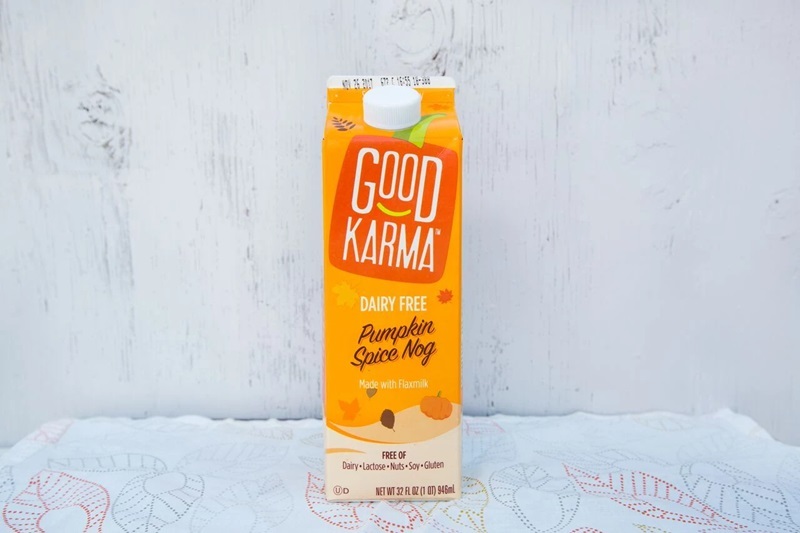 The Good Karma Pumpkin Spice Nog looks intriguing. 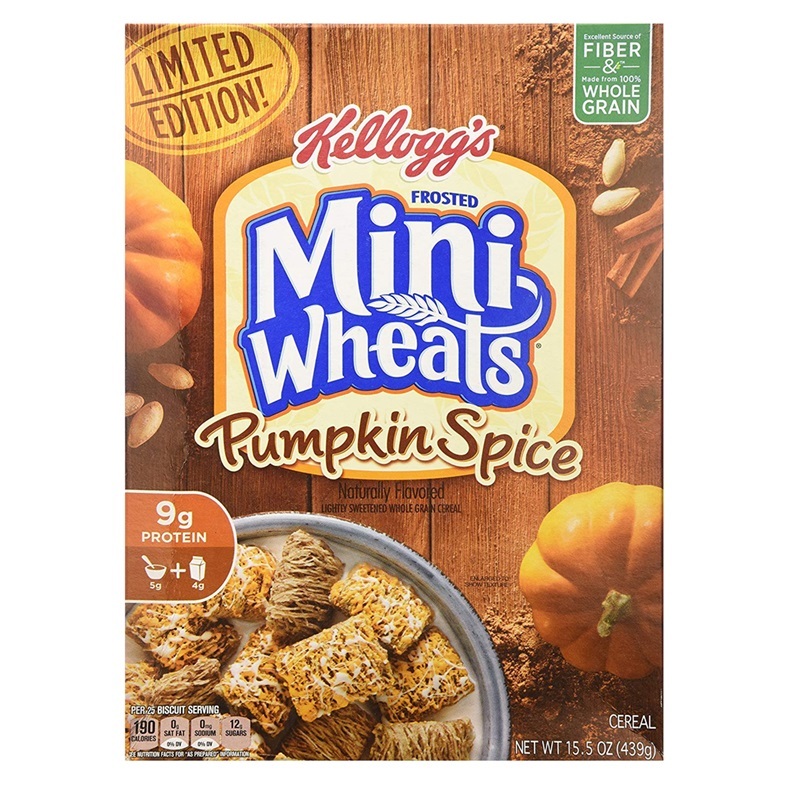 I tend to make my own pumpkin spice foods, but I love knowing that there are so many great options in the stores and online for quick grab and go! I’ve tried it – it’s tasty! Pumpkin Spice Peanut Butter?! Mind blown! That sounds amazing. And i can;t wait for eggnog season 🙂 I’ll have to try the pumpkin nog. Right? That one got me too! WOW! I didn’t know there were so many! And, how did I not know Good Karma had one??! Hoping I can find it by me! Wow, Alisa! That’s quite a collection, I see some of our nut-free favorites too. Yes, many of them are nut free! I actually have an order placed for the Dandies marshmallows since we don’t have them anywhere close yet. But what I have had and like are the Len & Larry’s cookies and the Applesauce. I bet those Lenny & Larry’s are good – I’ve tried a couple of their other flavors – so indulgent! I know, those look too good to pass up. 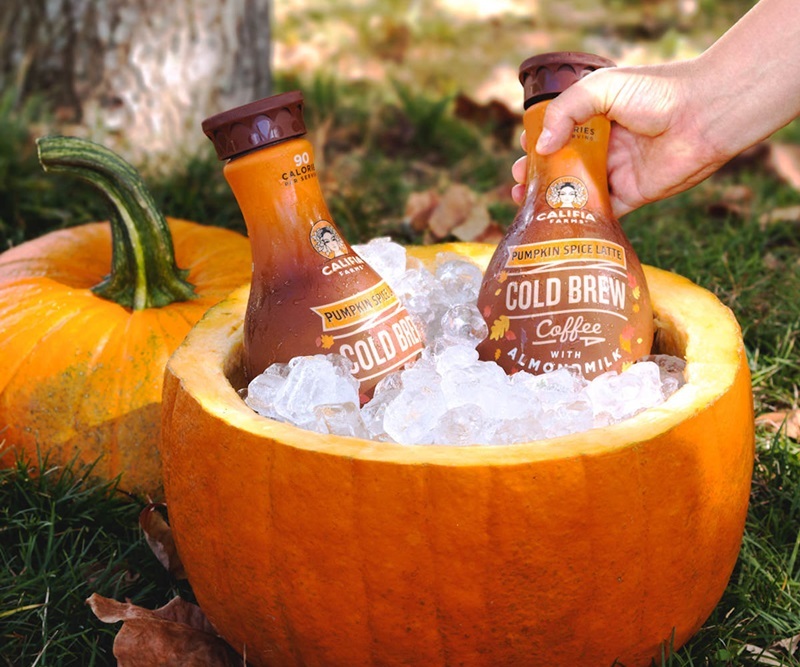 I am not on the hunt for the Califia Pumpkin Spice Latte Cold Brew Coffee!! Squeeel! I am so excited. That was suppose to say “now on the hunt”. I guess I was too excited. Haha, you and me bo th Chrystal! Katz pumpkin pie spice donuts are amazing!! Dairy and gluten free. Ooh! Thanks for sharing this Rhonda!